America Revealed: Is There Anything We Are Still Free To Do Without Government Permission? Is There Anything We Are Still Free To Do Without Government Permission? If you plan on using the bathroom before you get done reading this article, you might want to check with the government to see if you are still allowed to do that. There are very, very few things that Americans still have the freedom to do today without government permission. Back in the old days, if young kids wanted to earn some extra money they would set up a little stand outside and sell some lemonade or some cookies. For many little kids, this was their very first practical experience with making money. Once upon a time, you would see lemonade stands all over the place during the summer in America. In fact, “lemonade stands” became such a part of American culture that people knew exactly what you were talking about the moment you mentioned them. 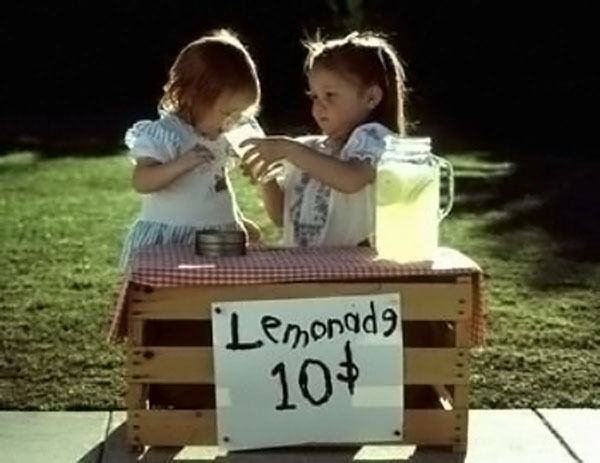 Even up until a couple of decades ago, nobody would have ever dreamed that little kids would need the permission of the government in order to set up a little stand to sell some lemonade or some cookies. But today, everything has completely changed. If you are a little kid and you try to sell some lemonade in “Amerika” today, the authorities will swoop in and shut you down in a heartbeat.